As the sakura front moves north, it’s time to forgo our favorite hole-in-the-wall ramen shops and embrace the best ingredients spring has to offer. 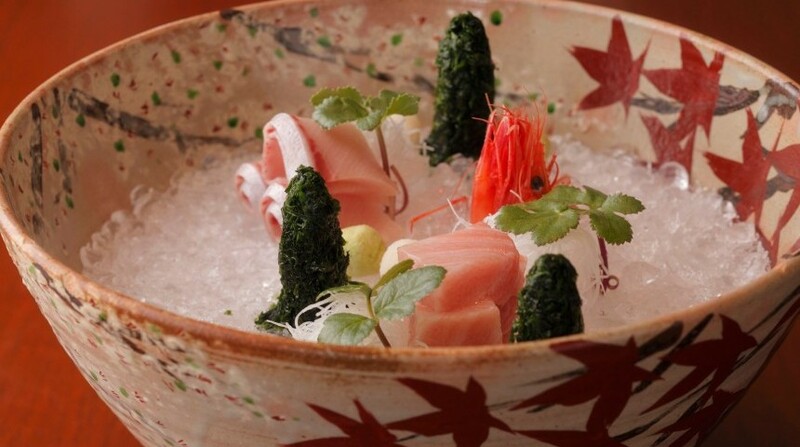 Tokyo’s chefs are world-class when it comes to consistency. Many spend decades refining their craft to eliminate variation, ever in pursuit of perfection. The yield from this lifelong obsession are the countless udon, soba and yakitori shops of unwavering quality. Restaurants like Tonki in Meguro, for example, take pride in having replicated the exact same tonkatsu dish for 80 years. But sometimes a little change is good, especially when it beckons the end of a long, dreary winter. As hanami (cherry blossom viewing) season brings with it bright colors, sunshine and pop-up champagne bars, Tokyo’s restaurants should embrace the season’s opportunities. As I searched for the ultimate seasonal brunch experience, a foodie friend suggested Park Hyatt Tokyo. Its two signature restaurants — New York Grill & Bar and Kozue — embrace seasonality through artful use of fresh, local ingredients. On behalf of Metropolis, I went on a fact-finding mission to see if these seasonal brunch options lived up to their reputations. 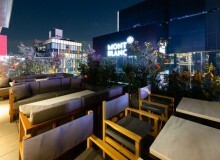 Most Tokyoites have visited the New York Grill & Bar at least once in their life. Typically known for its live jazz, stiff drinks and stunning views of Tokyo’s skyline, the famous eatery presents a completely different experience in the light of day. Before selecting a main dish, I was curious to see what seasonal offerings were on the cocktail menu. Our waiter did an outstanding job of pairing one of the bar’s signature cocktails with the spring theme. He recommended the L.I.T. (short for “Lost in Translation”) — a delicate combination of Kikuizumi Daiginjo sake, sakura liqueur, peachtree and cranberry. With its balanced taste and uplifting pink hue, it was the perfect aperitif. As a Canadian who calls Tokyo “home’’ for part of the year, it was compelling to see that Chef de Cuisine Steffan Heerdt had included Canadian lobster on the holiday brunch menu. While not necessarily a local ingredient, Atlantic lobster is regarded as a quintessentially seasonal dish by epicureans around the globe. The brunch menu also includes fan favorites such as the Kumamoto and Kobe sirloins, plus a seasonal fish of the day. As I contemplated my main dish (I opted for the Sendai Tenderloin) I noticed the vast selection of side options at the buffet: vibrant almond-crusted broccolini, wild leafy lettuce, beef carpaccio, cheese and fresh figs, to name just a few. And for those disciplined enough to leave room for dessert, a spectacular selection of treats adorned the far end of the buffet. In my case, I finished off an incredible meal with a bright red strawberry pastry and a glass of Ruinart Brut. New York Grill & Bar’s brunch menu welcomes spring in a profoundly visual way — with its impressive display of seasonal dishes, striking colors, bright atmosphere and heavenly drinks, it proved to be a feast for both the eyes and taste buds. 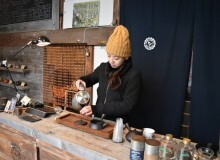 The following week, I visited Kozue for a more traditional take on brunch. Chef Kenichiro Oe is known for embracing seasonality with his carefully curated menus and spectacular visual presentations, so I was curious to see how Kozue’s expression of spring would unfold. Guests might be tempted to kick off their kaiseki (multi-course) lunch with a glass of champagne, but it would be a mistake not to start the meal with one of Oe’s hand-selected seasonal sake. 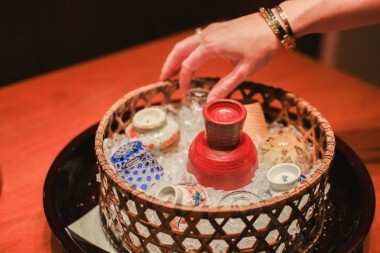 After choosing a chilled ceramic cup from a bed of ice, guests can learn about the complex world of seasonal sake from a patient and knowledgeable host. To experience a broad selection of dishes, order different set courses and share with a friend. My companion and I selected the Fuji and Etsu courses. It was incredible to see Oe’s plating technique, which always showcased the ingredients’ colors and textures. In addition to impressing serious foodies, the arrangements were also absolutely Instagram-worthy. Once we mustered up the courage to dig into the beautifully crafted dishes, our senses came alive. We gorged on mouthwatering sakura shrimp, grilled Spanish mackerel, seared bonito, sweet prawn sashimi and rockfish. Even deep-fried young ayu made an appearance on the menu. This iconic freshwater fish usually heralds the arrival of warmer weather and is the perfect example of seasonal cuisine. Additionally, the subtle addition of seasonal sansai (mountain vegetables) such as bamboo shoots reinforced the message that Oe is a true master of seasonality. Kozue has cultivated special relationships with producers who supply high-quality, seasonal fish and produce for its kaiseki menu. This was obvious as each ingredient in my ten-piece iwai-sakana (auspicious appetizer) was simply spectacular. Despite being embedded in a culinary scene that prides itself on consistency, chefs Oe and Heerdt embrace the richness of seasonal cuisine — but in different ways. 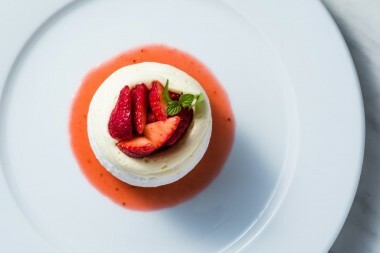 While New York Grill & Bar offers a visually immaculate spring brunch experience, Kozue impresses with its unbridled obsession with seasonal, and sometimes unorthodox, ingredients. Both are exceptional options for a pre-hanami brunch.